Canada may enact legislation to force social media companies to remove hateful and extremist content following the terrorist attack in New Zealand. Public Safety Minister Ralph Goodale said the government would look carefully at that kind of legislation. 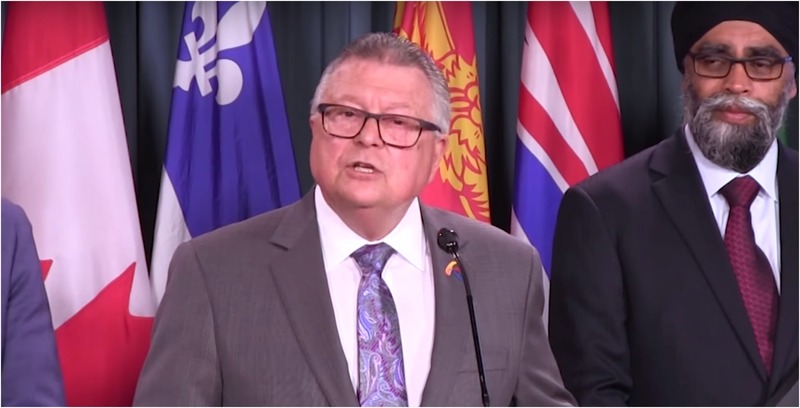 Further, Goodale said such legislation was a subject of discussion at Five Eyes meetings and G7 meetings. However, the details of how such legislation could work still need to be worked out, according to Goodale. This follows the Christchurch, New Zealand shooting where a white supremacist killed 50 Muslims people and injured dozens more. The gunman streamed the attack on social media, and before the attack posted a “manifesto” online. However, Australian internet service providers (ISPs) were able to block users from accessing websites hosting the shooter’s video almost immediately. While Canadian telecoms could technically do the same, experts told Global News there was far too much red tape. David Gerhard, an associate professor at the University of Regina, pointed telecom and media companies’ efforts to lobby the CRTC for the right to block certain websites. The CRTC denied efforts like FairPlay Canada to uphold the principle of net neutrality, which requires ISPs to treat all content equally. This prevents ISPs from favouring their own content. However, Gerhard told Global News that some selective blocking of content could help the public good, especially in cases like this. Whether the government chooses to force social media to deal with extremism or loosens the net neutrality leash so ISPs can police it remains to be seen. Regardless, something must done. Goodale says that companies aren’t doing enough.